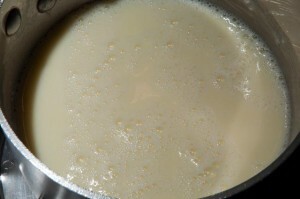 Heat the cream, butter and sugar until steaming and butter melts. 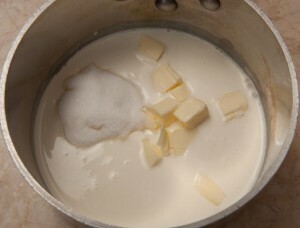 Whisk gently to make sure butter is melted and sugar is dissolved . 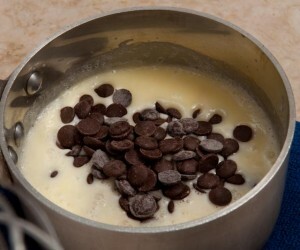 submerging chocolate under the cream. 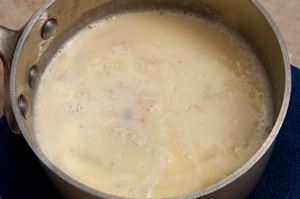 Let sit for 4 to 5 minutes. 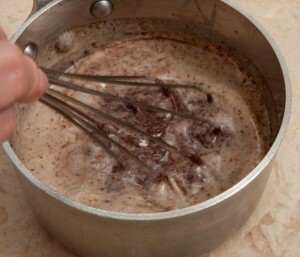 Gently whisk to smooth out the remaining chocolate. 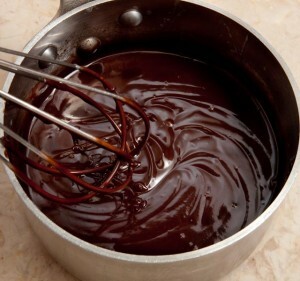 Using a rubber spatula, go around the bottom edges to make sure all of the chocolate is mixed in. 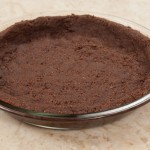 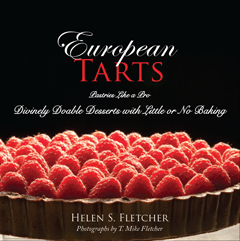 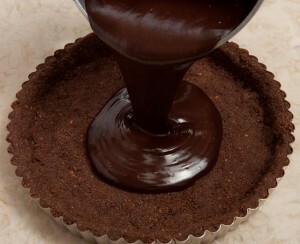 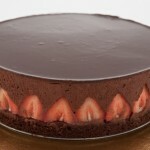 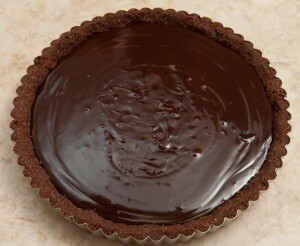 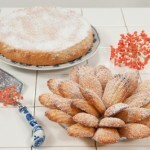 This entry was posted in Front Page and tagged chocolate, chocolate tart, chocolate truffle, Dessert, pastry, tart, truffle on August 5, 2012 by hfletcher.